Grew Up… in Sleepy Hollow in the late 18th century. The Van Tassel family was and still is the richest family in Sleepy Hollow. Katrina’s father Baltus Van Tassel owns a great deal of land, and he raised Katrina with privilege and diligence. Living… with a new stepmother, Lady Van Tassel, whom her father married recently. 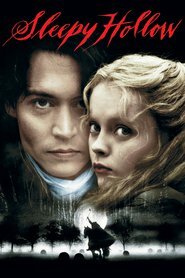 When the people of Sleepy Hollow begin losing their heads mysteriously, one by one, a legend of the Headless Horseman begins circulating the town – until science-savvy medical man Ichabod Crane is sent into town from New York City. Crane is hellbent on finding out the logical, reasonable cause for these murders, while everyone else in the town remains superstitious, including Katrina. Profession… being a lady. As is customary with daughters of wealthy families of the era, Katrina is brought up to be married to a suitable match. Brom Van Brunt is a handsome man in town who wishes to take her hand in marriage. But with the arrival of Ichabod Crane, Brom Van Brunt now has another competitor. Interests… the occult, archery, blind folds, and the occasional bit of witchcraft. Relationship Status… single. Katrina is sought after by many men in town, and the most eligible bachelor appears to be Brom Van Brunt. But Katrina quickly takes a liking to Ichabod Crane, with whom she shares many secrets and similarities. Personality… seductive, ladylike, and helpful. She wants to stop the murders as much as anyone, and when she realizes that Ichabod Crane will stop at nothing to crack this case, she offers her help. She will even go as far as approaching the infamous “Tree of the Dead” with Ichabod, even though she knows (or believes) it is haunted. Katrina van Tassel's popularity ranking on CharacTour is #3867 out of 5,000+ characters. See our top-ranked characters and read their profiles.